As an extension of the Spotter Guides series, Andy Blackmore Design has released a full 2014 Tour de France Spotter Guide. 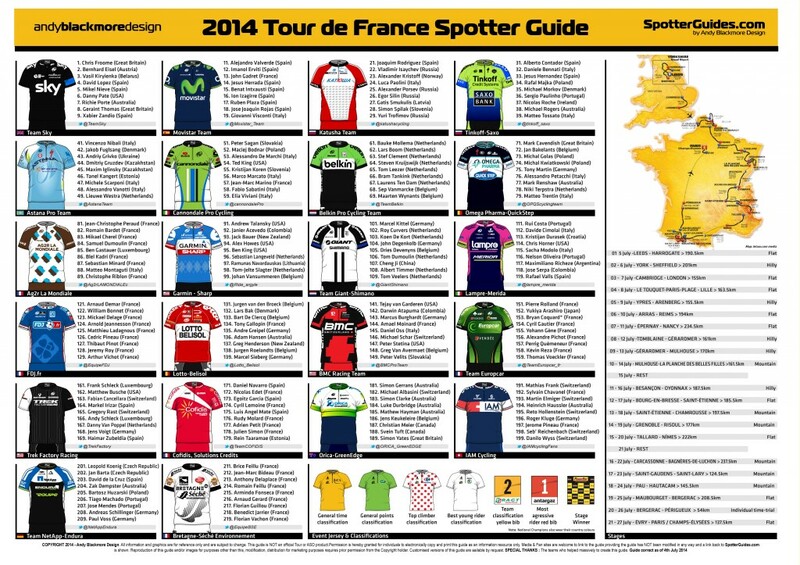 The guide features all the teams, riders, route and stages. All the Jerseys have been accurately illustrated including the new Tinkoff-Saxo top which was released yesterday (July 4th). The guide is a free download, but please respect the copyright notice at the bottom. If you are new to SpotterGuides.com, welcome! Please take a look around as we are the leading Motorsport Spectator Guide resource including Formula 1, Le Mans, TUDOR United Sportscar Championship and Formula Drift. 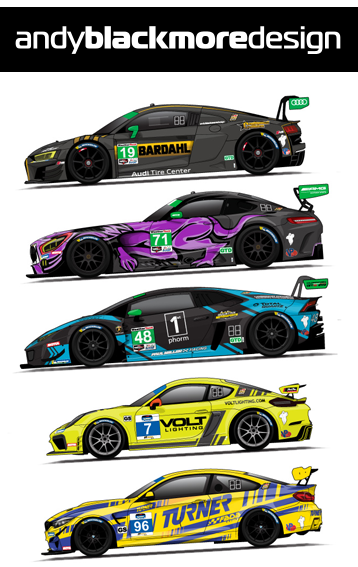 We are looking to expand our series for 2015 so if you are a company who is interested in a partnership or commission and see the benefits of your brand in the hands of fans at the track, on the road or home, then please do not hesitate to contact me.